On Saturday Graco hosted a launch event at Legoland in Windsor so that I'd have the chance to meet the other bloggers who are also part of Generation Graco for this year, meet the Graco team and learn more about the brand, and have a sneak peek at some of the brilliant products that we'll be putting to the test over the coming months. The event was fantastic and really well organised; Graco invited the whole family so Ian, the boys and Essie all got to come with me. We were provided with breakfast when we arrived, there was plenty of Lego for the children to play with and Sir Studley (a Lego character) came to meet the children during lunch. Knowing that many of us would have our hands full with small children and babies (Essie wanting feeding during both presentations!) they even had a photographer on hand, so most of the photos are with huge thanks to Graco. 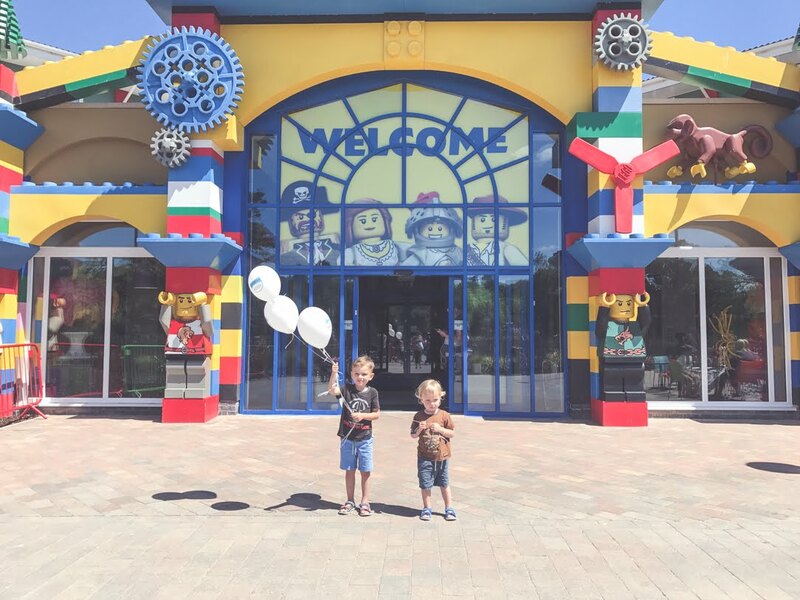 And once the event was over, we all got to head into Legoland so I had two very happy little boys! Graco have been making baby products for 60 years, coming up with solutions for the real world of parenting. Their first baby product was a baby swing and that was soon followed by the Graco Travel System. 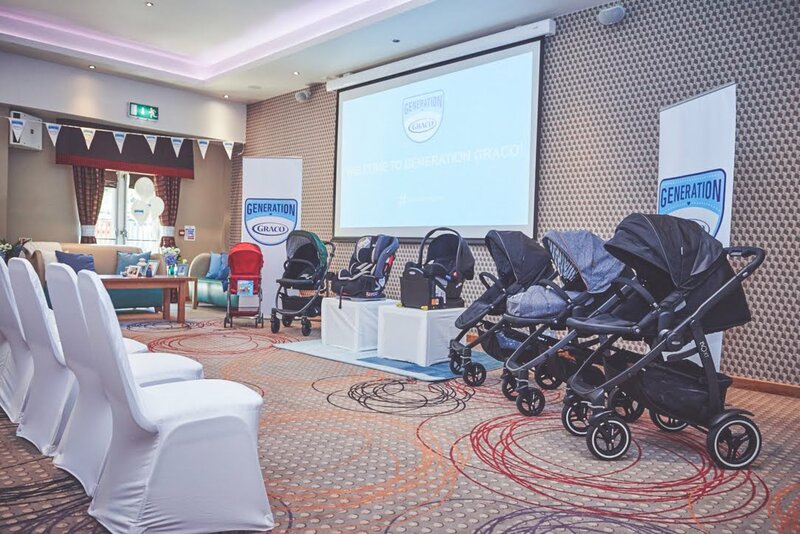 I had no idea that Graco were the first brand to create a product that allowed a car seat to be clicked on and off a pushchair, yet it's something that most parents these days couldn't be without! Nowadays Graco is a household name with safety, quality and style at its core. The range of innovative products includes pushchairs, car seats, travel systems, swings, soothers, high chairs and playpens. Every car seat, pushchair and home item goes through rigorous testing so that growing families have peace of mind and support, and they have been designed to allow for functionality and comfort for both babies and parents. At the event we got to hear about and take a look at some of the products that Graco are focusing on in 2017 including a sneak peek of a brand new product. In the morning we learnt about the Milestone All-in-One car seat and the SnugRide I-Size infant car seat. The Graco Milestone car seat is suitable from birth to 36kg, so it's the only car seat you'd ever need, and the SnugRide i-Size is an infant car seat compatible with the new i-Size regulation which fits the Evo range of pushchairs to make a complete travel system. 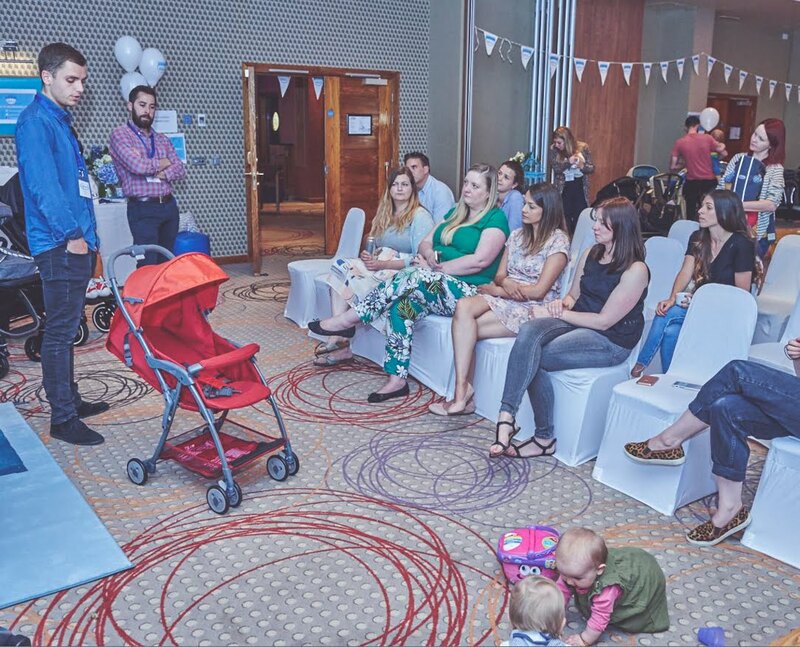 After lunch we got to learn about the Evo family of pushchairs which includes the Evo, Evo Avant and Evo XT. Straight away I spotted the Breton Stripe version of the Evo Avant - with my love of stripes I feel like this pushchair has been made for me! All of the Evo family pushchairs have been designed with optimal versatility and comfort in mind. They can be used parent or world facing, can lie flat so that they can be used from birth and have a one-hand fold. We also had a sneak peek at the brand new Featherweight stroller which is launching this month. It is the UK's lightest pushchair weighing just 3.6kg, which half a kilo less than Essie weighed when she was born! It can lie flat and can support up to 15kg so it can be used from birth to 15kg (around 3 years old) and one of its clever features is its one-hand fold. I can't wait to try out these exciting Graco products and show you them in more detail. 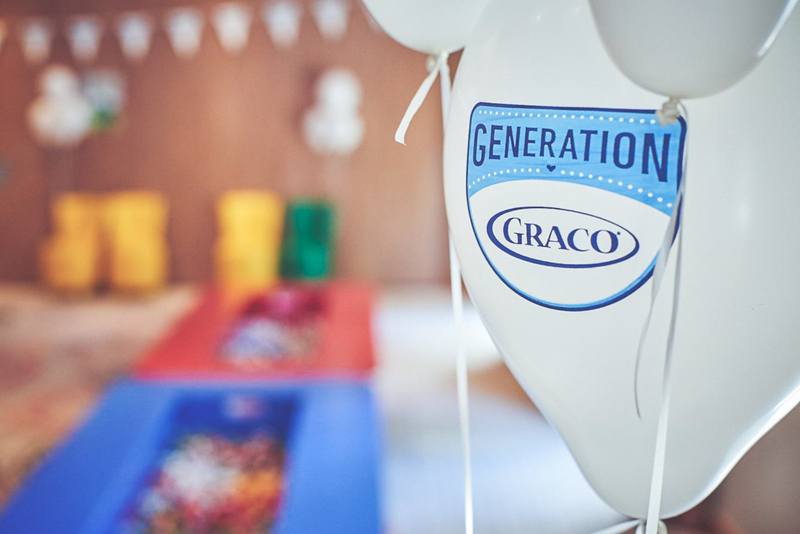 Make sure you keep your eyes peeled over the coming months so you don't miss any of our Generation Graco posts! I had a Graco Evo with Matilda Mae and I loved it so much x A fabulous brand to be working with. How exciting!